That backlog of unfinished books I had at the beginning of the year? Obliterated! On to the (much shorter) list of books I've borrowed. 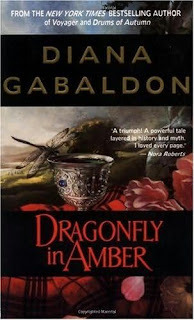 Dragonfly in Amber is the second novel in Diana Gabaldon's Outlander book series. It takes us through Jamie's and Claire's months in France, their attempts to stop the 1745 uprising in Scotland before it has a chance to get started, their subsequent return to Scotland, and their fight on the side of the uprising once it becomes obvious that they have neither stopped it from happening nor been able to keep themselves removed from the war. My youngest sister started reading the Outlander book series when I was in college. Her enthusiasm over the book series being turned into a TV series convinced me to watch the show with her. Once I'd gotten hooked on the show, I decided it would be a good idea to start reading the series. The story arc of the series is a compelling one. What is a woman to do when she gets carried back in time by a mysterious set of stones and winds up in the middle of the very history her husband is so fascinated by? And when she's forced by circumstance to marry another man to save her life? And when she falls in love with her new husband? It's a huge conundrum I don't envy Claire Randall/Fraser, and probably not one I would put my own characters in (if I were to write a story that involved time travel - no plans for that, by the way). Claire is a compelling point of view character, that much is for sure. She's been brought to the mid-18th century by means she does not completely understand, and has gone through hell a number of times since her arrival. She didn't ask to be taken there, although she does make the choice to stay after being given multiple opportunities to return. In Dragonfly in Amber, that looks like the premature birth and loss of a child, her 18th century husband's imprisonment in the Bastille during the same time period, and their separation when Jamie sends her back through the stones at the height of the uprising. It's difficult to not feel like you are constantly being sucker punched alongside her. The biggest issue? Point of view shifts. Dragonfly in Amber starts over twenty years into the future from Claire's return to the mid-20th century, with Roger, a character we've been briefly introduced to in the beginning of Outlander, written in third person point of view (POV). The beginning and end go between Claire's and Roger's POV, but Claire's point of view is written in the first person. I cannot say I didn't see it coming (my sister did warn me), but it was hard for my head to make the adjustments between the two. Sticking to all first person or all third person would have made it a lot easier to stick with those sections. The middle, which was solidly Claire's POV, kept me fully engaged. And the history? I'm generally finding it in keeping both with what Claire knows about what's going on (not so much, because she's much more fascinated with plants), and with what was actually going on. Gabaldon seems to have done her due diligence with the historical research, which makes me really happy because her career prior to becoming a novelist is in the sciences. If you're not a fan of POV shifts that take you from third person to first and back again, you might want to avoid it. Though if you're a fan of historical fiction set in Europe prior to the Victorian era, I think you'll want to tough your way through that aspect. 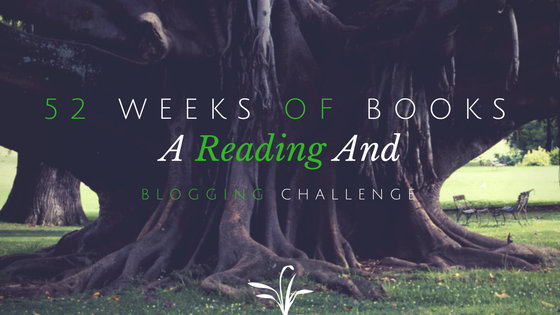 If you're a slow reader, take into account this one will take awhile - the paperback version I read was 900+ pages long, and it was a huge stretch trying to finish it in a week.